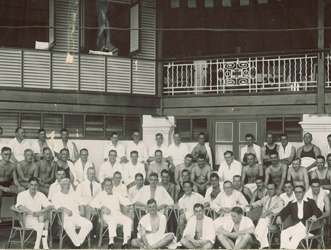 A small group of young European men who wanted to learn how to swim in open water met at the now-defunct Waverley Hotel to discuss the formation of a swimming club. A committee comprising Mr F Nawton, Mr R Price, Mr G Mousley, Mr R Charlton, Mr H Fregarthen, Mr H L Coghlen and Mr W Craig was formed. 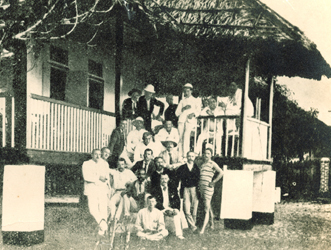 The first Clubhouse was a dilapidated attap hut rented from a Malay fisherman. Subsequently, it was abandoned for a bungalow located at this present site. Membership strength was 50. The first Annual General Meeting was held and Mr Jackson Miller was elected as the Club’s first President. Membership strength grew to 65. 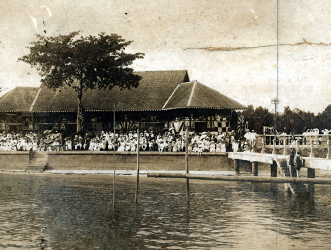 The Club bought over its rented clubhouse from the new landlord for $3,500 and added a sea wall and diving platform as well as dressing rooms and bathing enclosure. 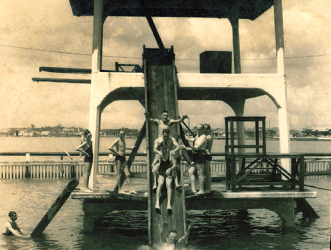 A diving stage was constructed in the days when members bathed in the open sea. Membership reached 200 and a larger clubhouse was built for $15,165. The Club celebrated the opening with a carnival. With the construction of Meyer Road and Tanjong Rhu Road completed, the Club built its first parking lot measuring 20 feet by 10 feet. 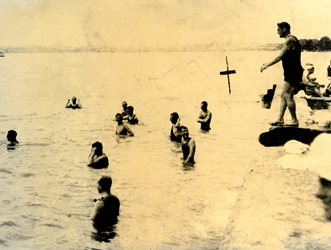 The Club enjoyed piped municipal water for the first time in 1920. Showers were installed in the bathrooms the subsequent year. Despite some opposition, the proposal to admit women as “honorary members” was approved. However, it was decided that they could use the Club only on public holidays. Subsequently, the Club grew so popular with the ladies that the women dressing room had to be expanded in 1925. Membership increased to 2,821 in 1928. Municipal electricity finally reached the Club, followed by gas in 1929. That gave the Club added flexibility to introduce alfresco dining and other activities. 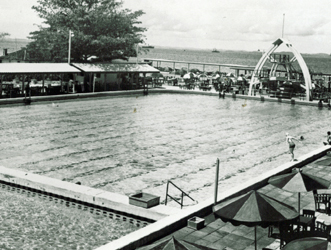 The first swimming pool measuring 210 feet by 100 feet was opened at the Club. The opening made headline news which resonated through Malaya. 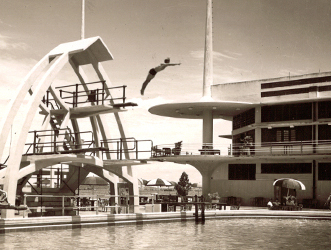 Singapore’s governor at that time – Mr Cecil Clementi, officiated the opening after which he promptly disrobed himself and dived into the pool from the high platform. A new wing was also added that housed a 275-seater restaurant, a 6,500 square foot ballroom, an air-conditioned steak bar, ladies’ lounge and a billiards room. During a special meeting in 1931, women were permitted into the Club on Sunday evenings. It would take another six years before they could gain entry to the Club during the day as well. The Club set up its first swimming school with Mr George Creighton as coach. Mr Creighton was a former British Army Lieutenant with professional qualifications in swimming and had qualified for the Scottish Olympic training award. After much debate during a special general meeting, Mr D Stark, President at that time, put forward the resolution “in favour of the admission of Asian guests to the Club.” The resolution was narrowly passed with a margin of 36 votes for, 35 against and 3 abstentions. Women notched another victory when they were allowed to attend the Annual General Meeting for the first time although they would still not have voting rights. With Singapore’s independence and changing social norms in 1963, Prime Minister Lee Kuan Yew issued a directive to all British clubs that they could no longer be “white only” institutions and must open their doors to all races. Reflecting the changing composition of the Club’s membership, Dr Chan Swan Tong, Vice-president to President Ken Meyer in 1971, stood for and won the election after the President decided to resign. The Sports Complex comprising squash, tennis and badminton courts, swimming pool, gym, bowling alley and games room was officially opened by Dr Tan Eng Liang, then Chairman of the Singapore Sports Council. The Club launched its five-year master redevelopment plan that would see it add on new facilities such as a health centre, alfresco F&B outlets, a 10-lane bowling centre and a six-court badminton hall. The Club welcomed honorary life member, then president, the late S R Nathan as the Guest of Honour at the grand opening of its new Administration Building, which houses a koi pond, an outdoor café, a library and reading rooms among other facilities. 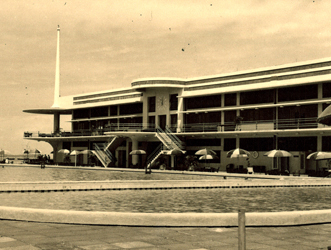 The Club’s redevelopment project added a new recreation and children’s pool, playground, jackpot room, Delicatessen, outdoor area for Cabana, spa, retail space, children’s corner and cue sports room, and included the expansion of the Multi-Storey Car Park, Gym and The Palms restaurant. 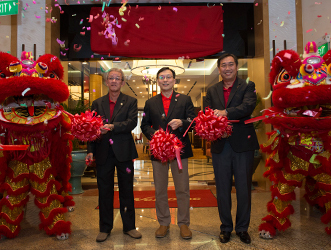 Jade Phoenix Chinese restaurant opened its doors to members on 16 January, six weeks after the previous restaurant ended its lease. The outlet offers high quality Cantonese cuisine and original recipes by our Master Chefs. 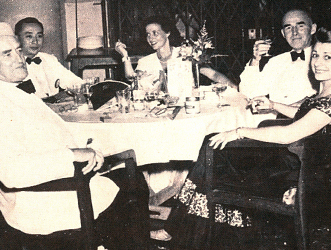 The old jackpot room at Level 2 of the Administration Building was renovated and converted into an extension of Jade Phoenix and renamed Emerald Court where members can hold private social and corporate functions. The Temporary Occupation Permit was obtained for the Multi-Storey Car Park and members had access to an additional 84 parking lots. For the first time since its inception in 2012, the annual Foo Kok Keong Cup was held outside Malaysia's borders, and the Club was honoured to stage this prestigious event. Two hundred and forty shuttlers from nine countries took part in this tournament, held at the Club's Badminton Hall over a span of three days on 7-9 July. The Competition Pool underwent massive reconstruction works to correct a waterproofing defect that was causing massive water loss and increasing utility expenses. Construction works finished ahead of schedule and the Club threw a massive reopening ceremony, complete with carnival games and water tele-matches on 29 December.